Now SOLD, thanks for all the interest. 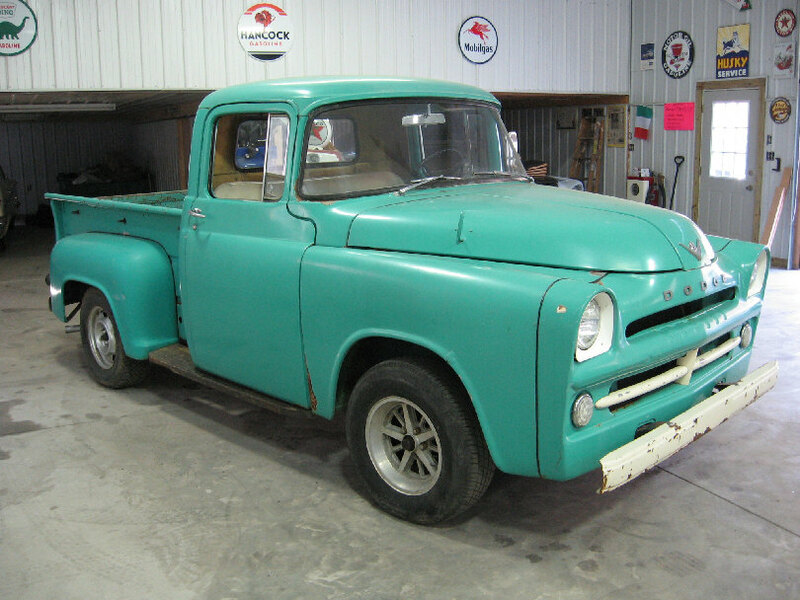 This is a very rare Dodge pickup, not many in the world never mind the UK. 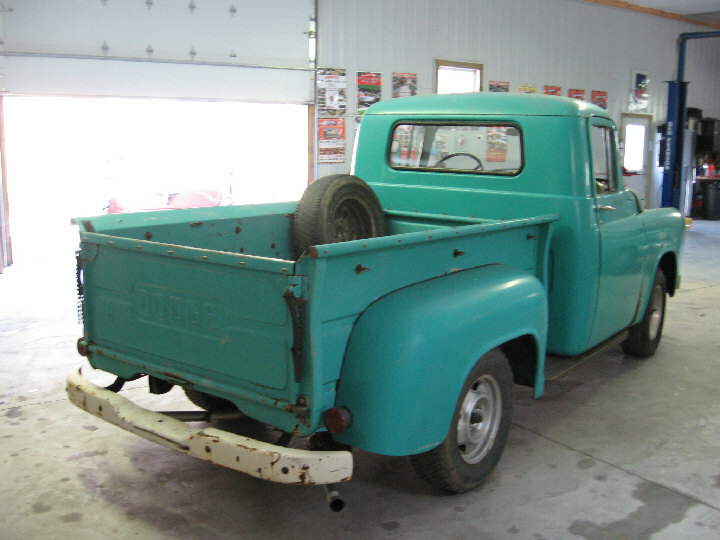 It is a great running old truck, but does require full restoration to make it a show winner, though with less work it would be a great daily driver or rat rod. Price above is for the truck as-is. We will be starting the restoration shortly when the price will be increased as each stage is completed, or may be removed from sale completely if we decide not to sell until the restoration is complete. 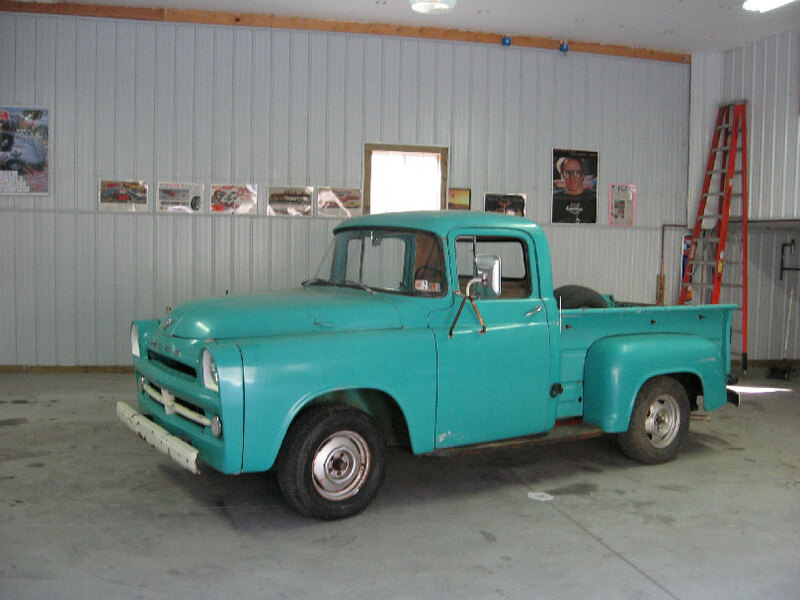 This is your one chance to buy this rare pickup and do it your way! 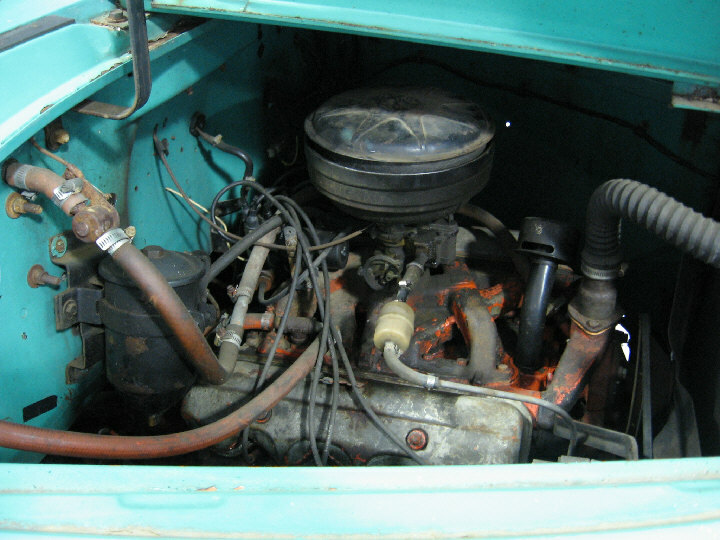 Truck is complete, and running it's original 270 cu in polyspherical engine, the fore runner to the hemi. 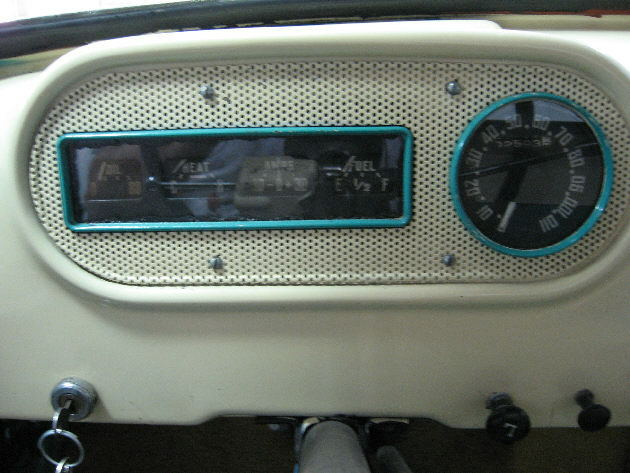 It has a column shift auto transmission and starts and runs no problem with the new battery recently fitted. It currently has bad brakes as the pedal needs to be pumped, but it seems to steer okay, so we don't envision too many problems mechanically. Update on the brakes, I removed the front hubs to free the brakes off, and found it has new shoes, brand new wheel cylinders and new wheel bearings. The brakes now work better, but the master cylinder probably needs a rebuild, and we have a kit for it here somewhere. 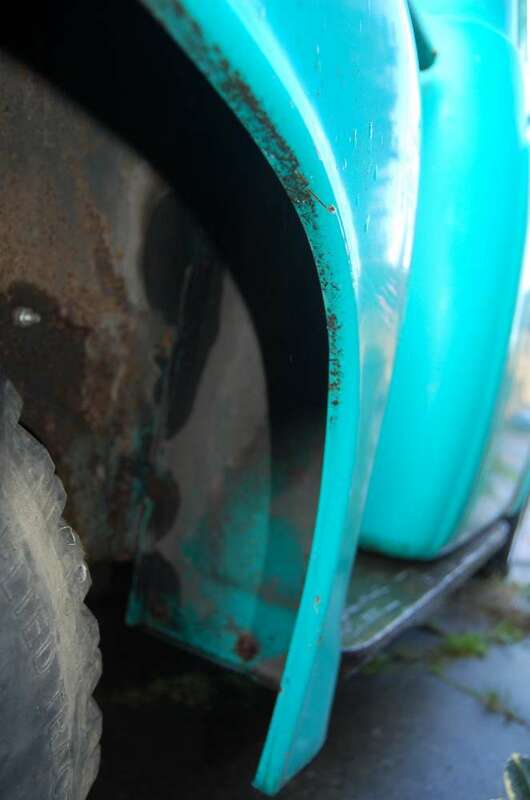 It has been restored in the distant past, but the paint is now flat and there are a couple of areas of blisters on the driver's door and evidence of filler to fill a few dents on the grille and wings. 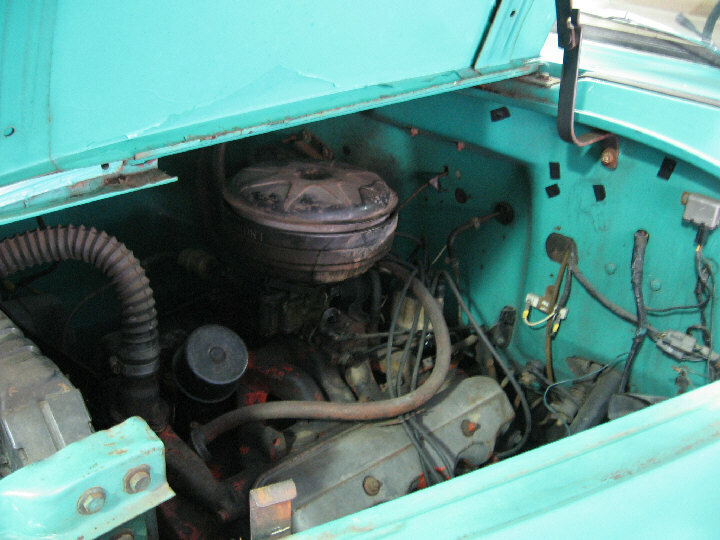 There does not seem to be much if any rust, apart from some in the battery box and cover. 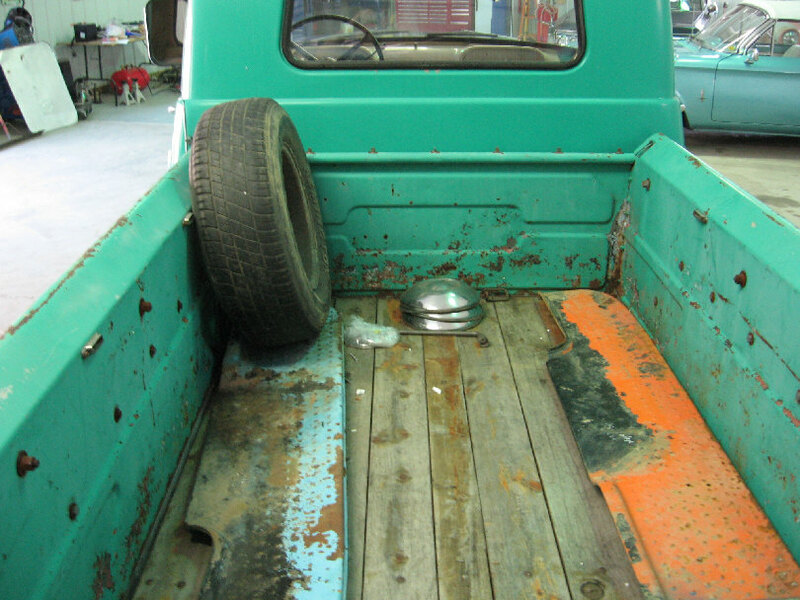 On lifting the carpet we also found rust on the passenger floor, between the front of the seat base and the toe board, and easy enough fix. 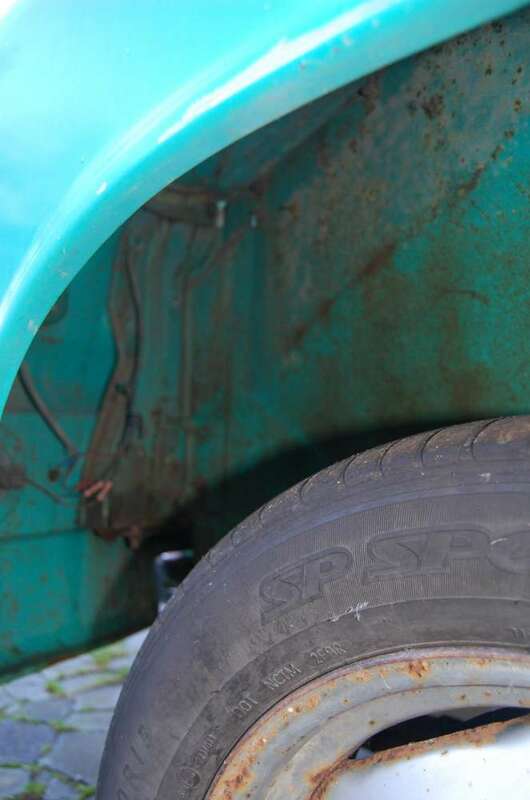 One rear wing is steel with no evidence of any filler, but the other is fibreglass, though without tapping it, you would never know it wasn't steel. 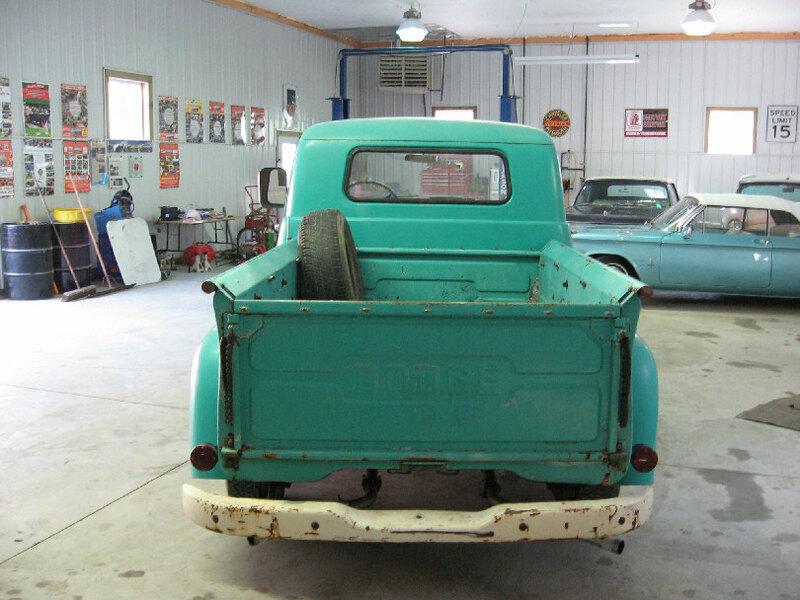 Running boards have been made from wood, but there is a pair of original steel running boards in the body. 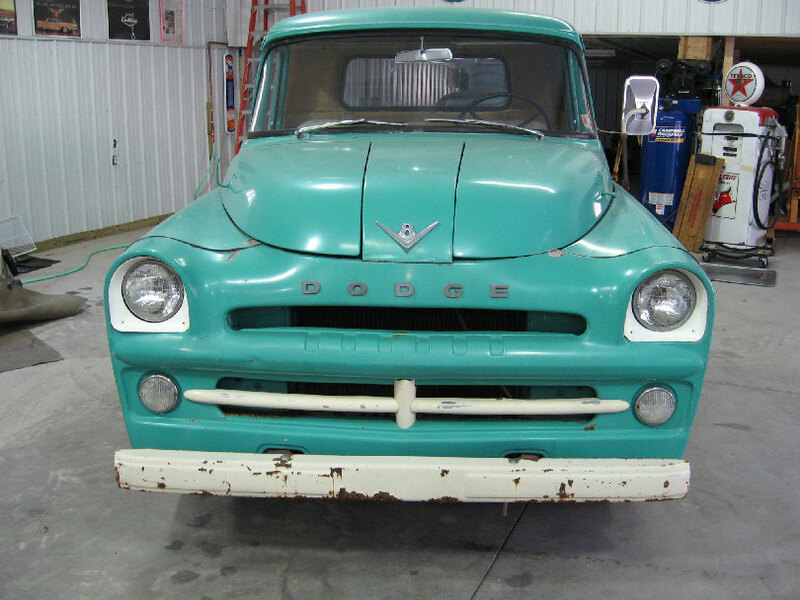 A real rarity, a '56 Dodge with the later '57 grille, which may have been fitted later or may have been a factory crossover model. 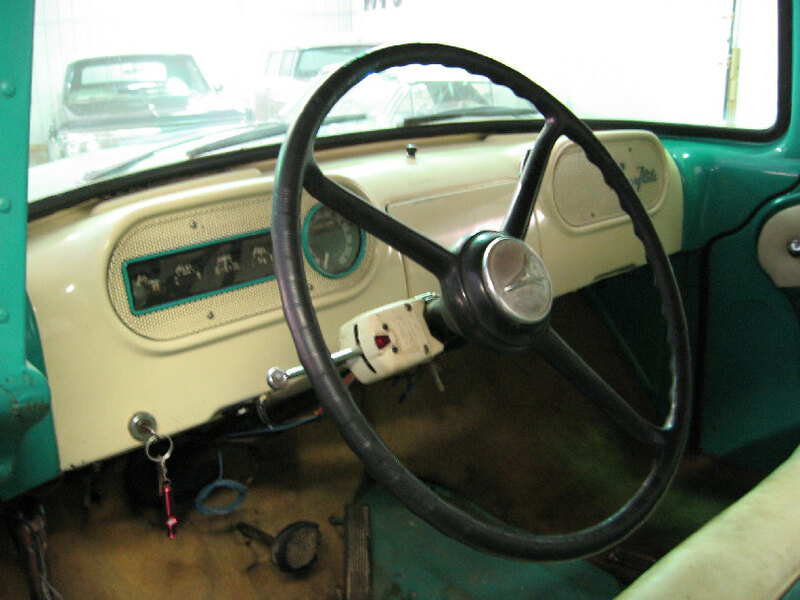 The grille is '57 style, but the butterfly opening hood is '56 style. 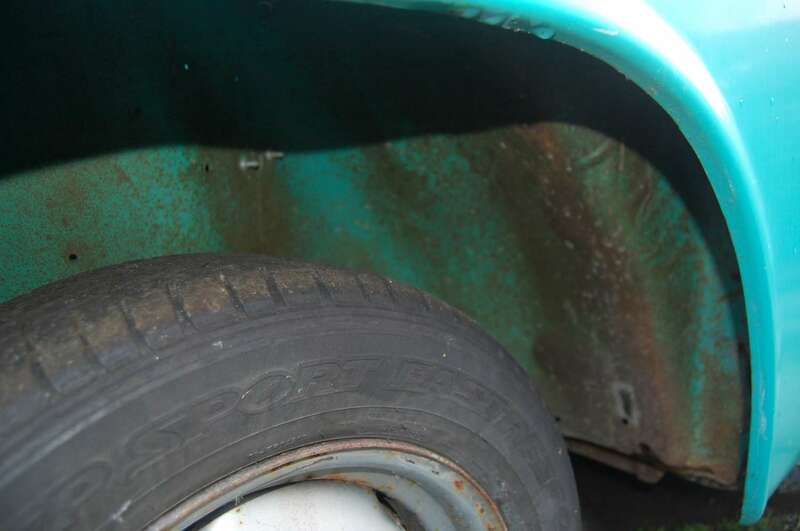 the obove and below 2 pics shows under left front wheel arch, no rot! 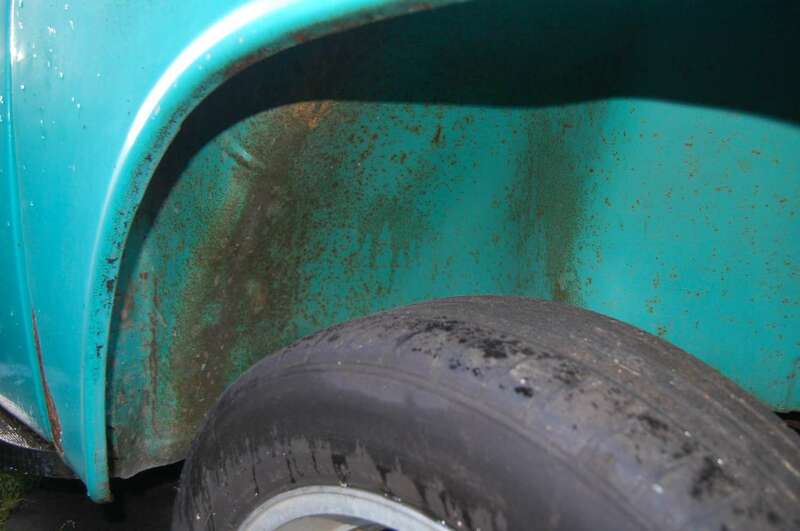 above, under right rear wheel arch, below under right front wheel arch, no rot at all!! 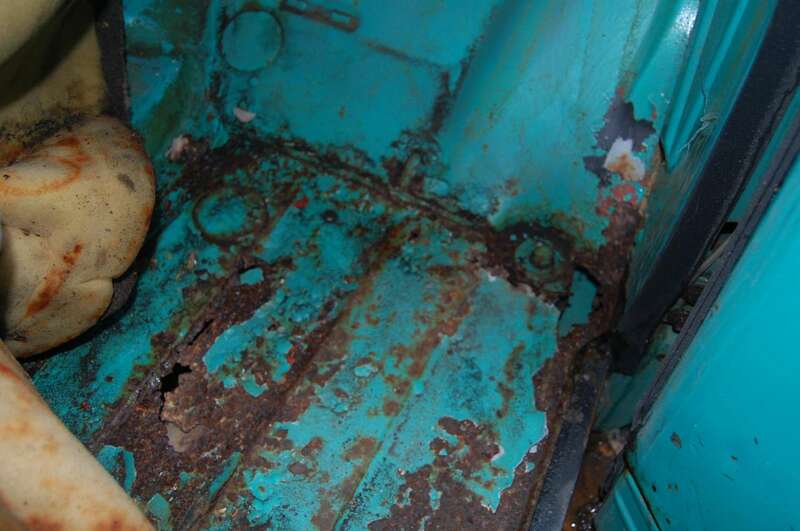 above shows right side floor pan showing rust needing repairs.